In a recent interview at the Code Conference in California, technology entrepreneur Elon Musk suggested we are living inside a computer simulation. On first hearing, this claim seems far-fetched. But could there be some substance to Musk's thinking? As founder of a number of high-profile companies, such as Tesla and Space X, Musk's business interests lie firmly in leading technologies. The idea that humans live in a reality controlled by external bodies, whether computers or otherwise, has been around for a while. This has been a question explored by philosophers and even physicists over the centuries. The philosopher Nick Bostrom drew the same conclusion in 2003. The similarities between the arguments put forward by Musk and Bostrom go further than proposing we are part of a larger computer simulation, though. Both consider the development of artificial intelligence (AI) to be a dangerous field of technology. According to Musk, the result of progress in AI research and development will be the end of civilisation. Bostrom takes a similar standpoint should appropriate risk assessment not be carried out on development projects. But is this just paranoia? The claims carry more than a passing resemblance to science fiction movies, such as The Matrix and 2001: A Space Odyssey, but are Musk and Bostrom voicing valid causes for concern? The case that we are not living in a simulation is strongly supported by resource arguments. Consider the sheer computing power needed to run such a simulation. A simulation system would need to manage all the entities in the world and all their interactions. This would require a vast amount of processing. Further support can be found in arguments relating to quantum mechanics – to run a truly lifelike simulation of a city, with all its trillions of interactions, would require a city-sized computer. This makes the case for our existence in a simulation very unlikely. Even if a machine existed that could simulate our existence then there would be a high probability that we would experience so-called "realism imperfections". These bugs in the simulation would be seen or heard due to glitches in the model. For example, stars may or may not exist when viewed through telescopes of varying magnification. Such errors would be inevitable in a simulation of this scale, but they have never been observed by humans. 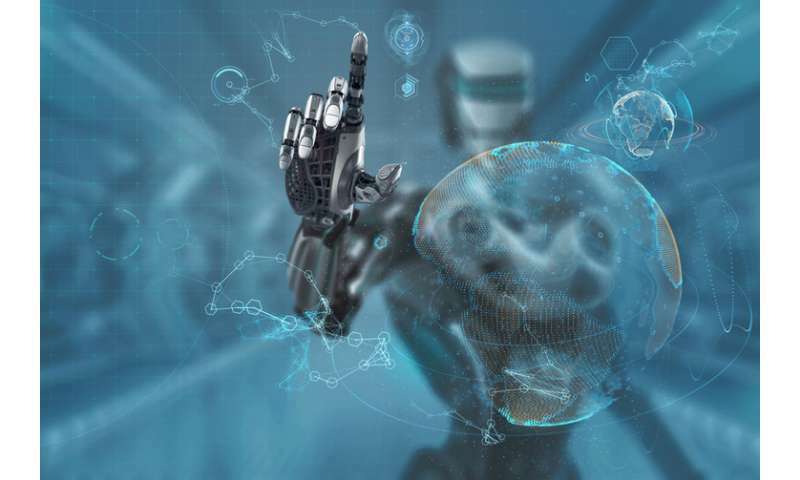 Machines that use self-learning, super intelligent software are still very distant from the current state of the art, and systems that do make use of AI operate in very tightly defined fields. Current systems learn to optimise their performance within specific domains of work – not to take over the world. For example, neural networks, which are sometimes referred to as electronic models of the brain, are used to predict changes in stock markets. These systems can be trained using existing data from stock trading to learn and identify patterns in live data streams that may indicate that something will happen. The result of this is that traders can take action to mitigate any negative outcomes. Equally, there are systems that are developed using AI techniques to alleviate workloads by applying programmed rules and facts. These are known as knowledge-based systems. While the human users of these systems may not realise that they are interacting with a machine – such as Jill the online tutor of AI, which answers questions and provides feedback to students on an AI course – they are also developed to work on or within well-defined problems or domains. Taking the restrictive fields in which AI-type systems are developed, the danger of civilisation coming to an end because of the creation of AI would seem to be very small. Indeed, AI is used largely to support human decision-making and action rather than to replace it. There are elements of Musk's thinking, however, that seem considerably more likely to happen in the near future. One of these is the development of technology to aid human-machine interfaces. As everyday life becomes increasingly reliant on connected devices, the way in which we use them is constantly changing. Our desire to access data and communicate has driven the evolution of wearable technology. Musk claims that we will become pets to AI should we not develop effective brain-computer interfaces. However, the father of wearable technology and AR, Steve Mann, promotes combining both technologies to benefit society. This carries more substance as much work in the area is focused on assistive medical systems. For example, one area of research looks at the creation of brain implants to harness electrical signals in the brain and stimulate movement in paralysed limbs. Rest assured, however, that we are probably not living in a computer simulation and that the claims made by Musk are outlandish. There are, however, some elements of his thinking that do hint at technology developments in the future. Future developments in AR and related technology will move us towards a world that is more connected. In these augmented realities we will have seamless access to data and digital representations projected into the physical world. AI techniques will help us understand the data; making decisions that are informed by computers. But while augmented, these realities will still be built on and in the real world.